"There," says Alice Hayward to Reverend Stephen Drew, just after her baptism, and just before going home to the husband who will kill her that evening and then shoot himself. Drew, tortured by the cryptic finality of that short utterance, feels his faith in God slipping away and is saved from despair only by a meeting with Heather Laurent, the author of wildly successful, inspirational books about ...angels. Good beginning Good end. Stupid Middle.. It is 1943: Tucked away in the idyllic hills south of Florence, the Rosatis, an Italian family of noble lineage, believe that the walls of their ancient villa will keep them safe from the war raging across Europe. Eighteen-year-old Cristina spends her days swimming in the pool, playing with her young niece and nephew, and wandering aimlessly amid the estate's gardens and olive groves. But when two soldiers, a German and an Italian, arrive at the villa asking to see an ancient Etruscan burial site, the Rosatis' bucolic tranquility is shattered. The time is 1981, and Sibyl Danforth has been a dedicated midwife in the rural community of Reddington, Vermont, for 15 years. But one treacherous winter night, in a house isolated by icy roads and failed telephone lines, Sibyl takes desperate measures to save a baby's life. She performs an emergency Caesarean section on its mother, who appears to have died in labor. But what if, as Sibyl's assistant later charges, the patient wasn't already dead, and it was Sibyl who inadvertently killed her? 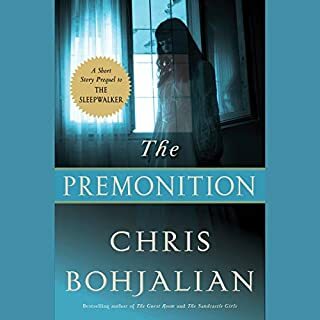 As recounted by Sibyl's precocious 14-year-old daughter, Connie, the ensuing trial bears the earmarks of a witch hunt, except for the fact that all its participants are acting from the highest motives, and the defendant increasingly appears to be guilty. 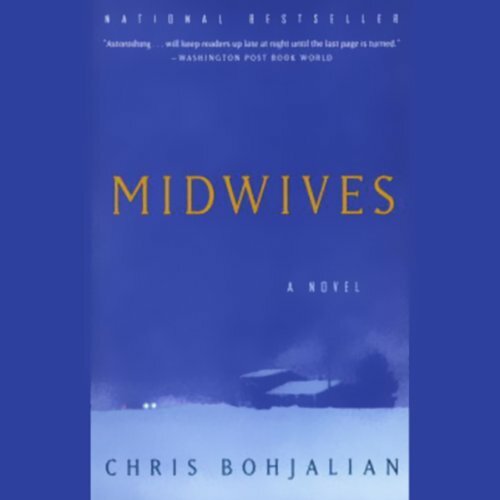 As Sibyl Danforth faces the antagonism of the law, the hostility of traditional doctors, and the accusations of her own conscience, Midwives engages, moves, and transfixes us as only the very best novels ever do. 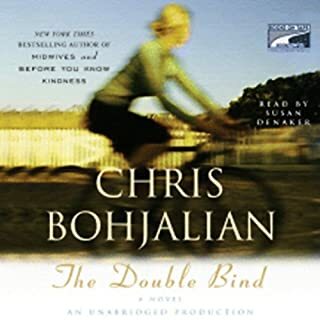 ©2007 Chris Bohjalian (P)2007 Random House, Inc. Random House Audio, a division of Random House, Inc. I made a horrible mistake buying this book. I was the one at fault, however. I hate abridged books and truly do not understand why they are producd. More significantly, why does Audible sell them? The Publisher's Review states this book "engages, moves, and transfixes us as only the very best novels ever do." I don't agree after having listened to it. The story is fine. It just doesn't shake anything up. It's pleasant enough, but lacked fire. Not once was I tempted to stay in the car to continue listening to the story. Now was that because the abridged version cut out details someone thought unneccesary? We'll never know. I really enjoyed this - it was well-performed and a very compelling story. But my feeling with this one, as with most abridged works, is "What am I missing?" I don't necessarily feel the story wasn't told completely, but I always feel like I'm cheating the author if I only have the abridged version. Sadly, only an abridged audio version was available. I guess I just don't like other people deciding what was "important." Relieved that this ordeal was over!! Wow... insane. Have you listened to any of Kate Burton’s other performances before? How does this one compare? Her voice sounds familiar, but I can't place what else I have listed to that she has narrated. I liked this book though I wish that there was an unabridged version. I think there are pieces missing that would really add to the story. I assume those parts are included in the unabridged version. But I'm not willing to get the book and read it to find out! 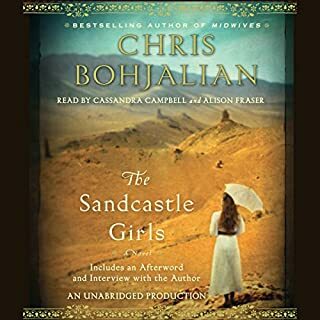 I ordered this audio for my bookclub discussion having read the book years ago and loved it. I didn't want to re-read it. I was very sad that this was the abridged version and didn't realize it till after I purchased it. 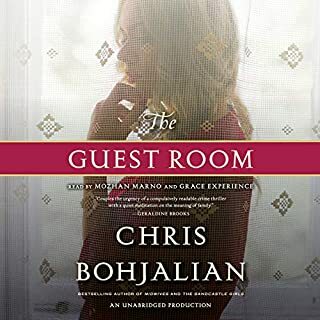 I love Chris Bohjalian's writing and this book has so much to offer. That said, I highly recommend that you either offer an unabridged version or that readers get a hard copy and read every word. My bookclub had a lively discussion on "what would you do" if you were the midwife in this situation? It also raised many questions about home birth and lay midwifery. SInce our group includes an Internal med doc and myself, a NICU nurse, as well as non-medical members it was a thought provoking discussion. It should say right at the top that this is an abridged copy I am reading the book and this leaves so much out .. don’t listen and read the book! Excellent performance of a great story. I only wish that this had been an unabridged version. 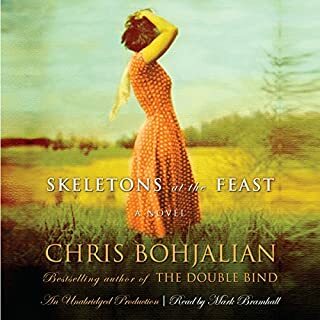 I love the author so I was really excited to download this story, I am not fond of abridged books but wouldn't pass up one of Chris Bohjilians books! Good story but what's the point? This is well narrated. It's a well written story as well but... I just kept thinking while listening to it - what's the point of the story - you know literally - was it worth creating and telling? I'd say know. I don't give it a bad rating because the writing is good but storyline isn't worth listening to. catches you upfront with the midwife being accused of murder but goes along pretty calmly and then ends. just wasn't worth my while! this touched my mother heart on Many levels....having chosen home birth myself. i shared this book with my daughter and would recommend to others. An OK read, but it did not really draw me in. I was expecting a bit more. This title is an old one, but I had never seen the film or read anything by Mr Bohjalien before. The characterisation was excellent; I fully empathised with the midwife and her daughter. The tension was immense! 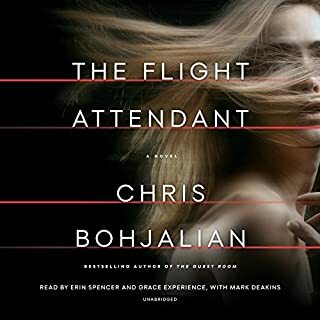 My only gripe about this audio book was the narrator, whose diction I found a little strained, as if she were trying too hard to speak clearly.